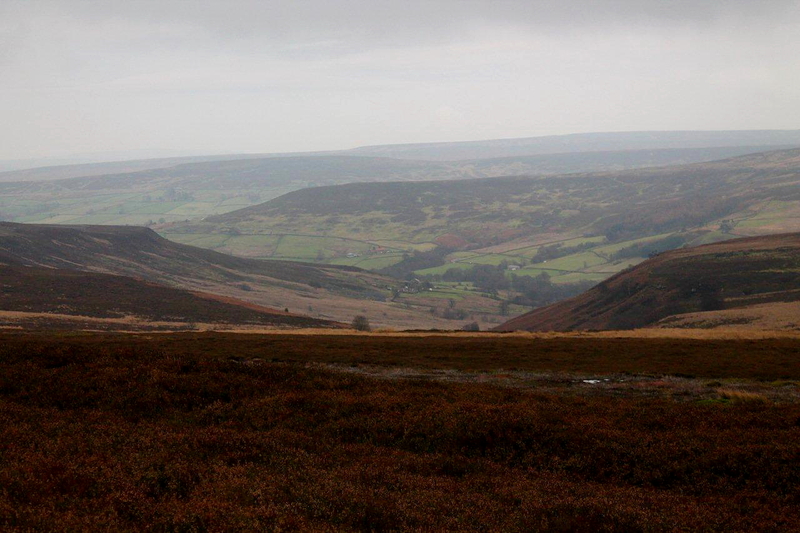 I AM wary of the North York Moors because they are more than a little bit sinister. They are wild and empty, peppered with the scratchings of forgotten people, laced with legends, and punctuated with the stumps of ancient crosses and boundary stones. There is a dark, Gothic atmosphere, which is intensified by the proximity of Whitby and its Bram Stoker connection. Wolves still inhabit the wilder corners and hags dwell in tumbled cottages, so some people say. 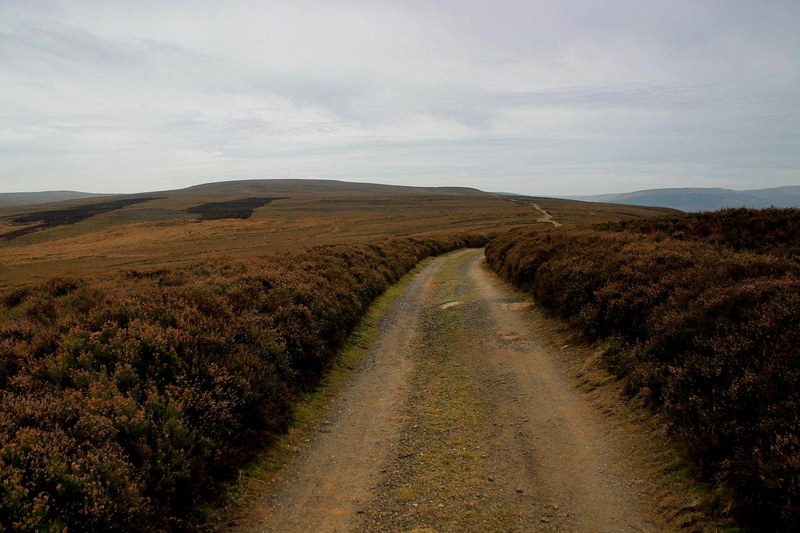 It’s a marvellous place for a moor walk, but not necessarily a place in which to wander alone . . .
Kildale is a village with a name to suit the mood and the weather – both of which are cold and glowering on this bleak December morning. I leave the van parked beneath bare trees in the station car park and march along the main street, conscious I’m being watched by unseen people from behind garden walls and hedges. Even the crows seem muted. Dogs refuse to bark. 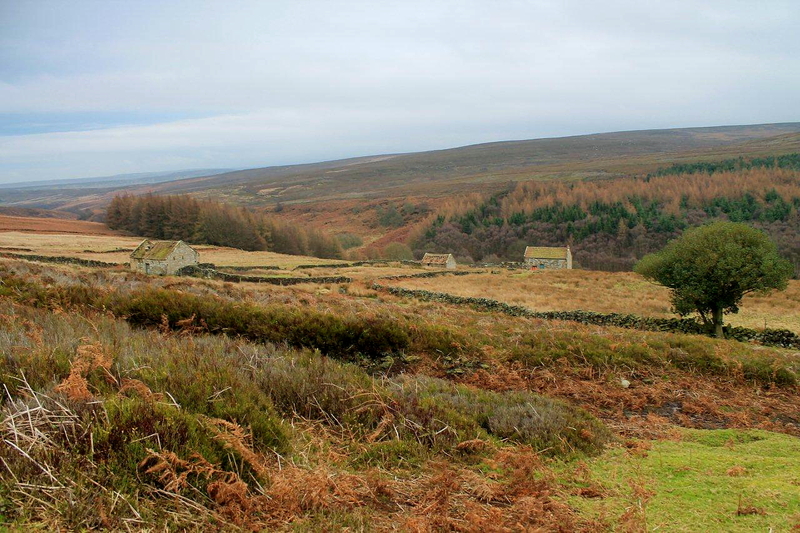 It’s the sort of moorland hamlet that should have a pub called The Murdered Man – but it hasn’t. 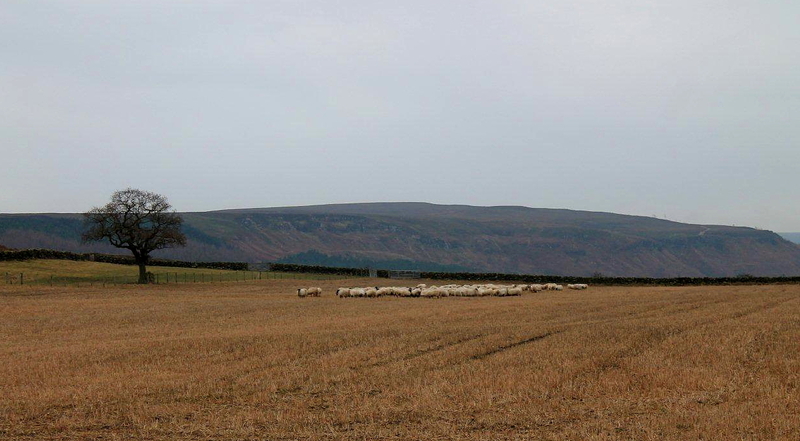 On the edge of the village I pass an old shepherd leaning against the trunk of a dead tree. He’s playing a sombre tune on a fiddle and a lamb’s head pokes from the pocket of his ragged coat. “Pardon sir, but are you an outsider?” he says as I approach. I nod meekly. His fiddle complains and the lamb bleats. I’d like to say I made that bit up but I didn’t. I toss the man a silvery coin and head up a lane towards the moors. Unfortunately, the wind’s in the west, so I’m sure to perish. Perhaps I should have stayed at home and watched daytime television. 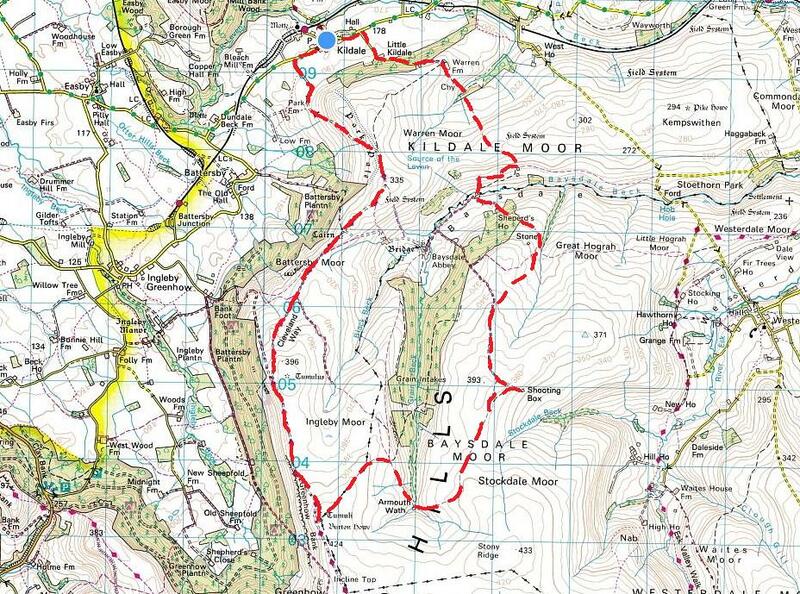 In freezing wind I follow the route of the Cleveland Way long-distance footpath up Kildale Moor and onto Battersby Moor. These hills do bleak in a big way, to the point where they abuse the privilege. 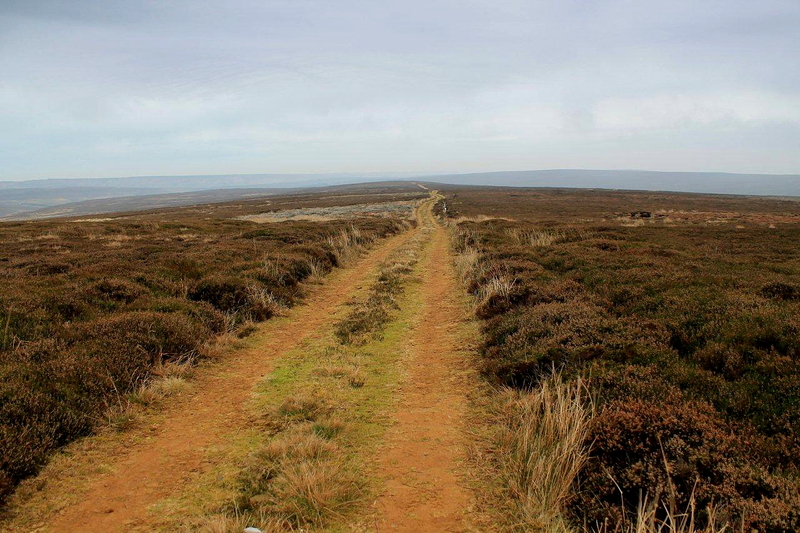 Nothing exists on Battersby Moor except heather, mud, grouse and the ghosts of highway robbers. Besides the grouse, I am the only living thing up here. On the wind I hear the distant blasting of shotguns. It’s immediately obvious that the grouse-shooting fraternity has turned out in force to cheer us up in these times of enforced austerity. Chancellor George Osborne promised only this week that another five years of government cuts, hard decisions and unavoidable pain lie before us. So it’s heartening to learn that the grouse-shooters are carrying on as normal. Should the cuts bite and they run out of cartridges, we could always have a whip-round or close a couple more NHS walk-in centres. If you detect a note of cynicism it’s because I’ve accepted we are officially living in a cynical world. Not only are the wealthy soldiering on as normal amid the austerity, but the royals are taking a break from pheasant-shooting and deer-stalking to champion the cause of the endangered species. And to cap it all, I’ve just listened to a guy on the telly arguing that torture is a good thing for Britain and we should have more of it. But I think it applies only to non-white, non-Christian people – so that’s all right. I’ve missed my path over to Baysdale and ended up on the top of Greenhow Bank. Wasn’t paying attention. Too much ranting. I shall perish up here if I’m not careful. 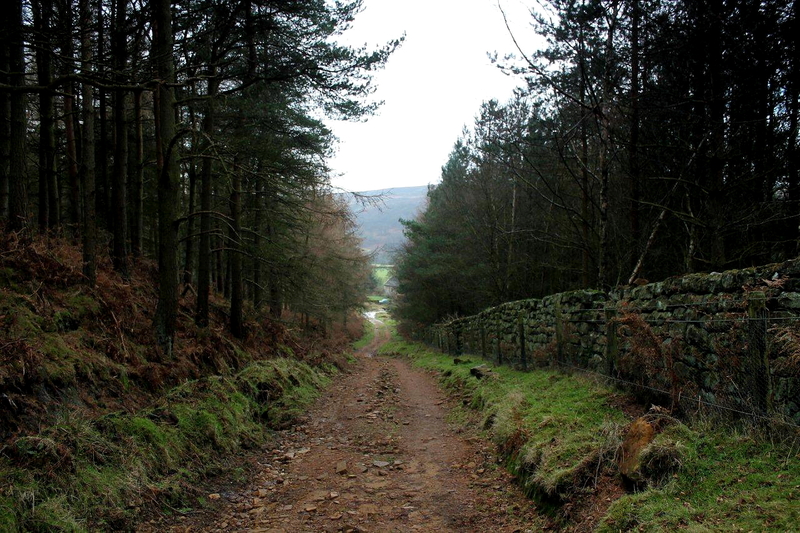 I take a track known as the Ingleby Coal Road. 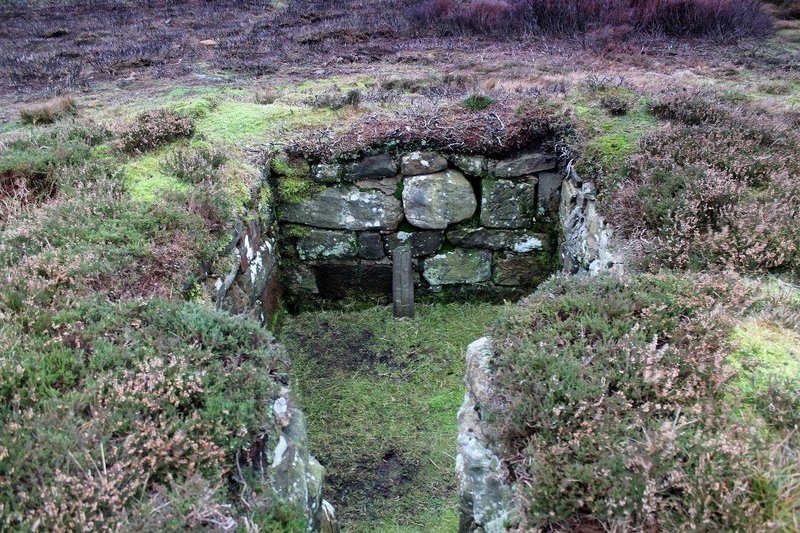 This leads across the bleakest of moors and passes a couple of large boulders pocked with interesting holes and hollows. I can’t find any reference to these boulders on the internet, but I’m going to stick my neck out and say they are associated with devil worship and bigamy. Anything goes in this country, especially in shooting circles. Even torture has its place in certain London postcodes. 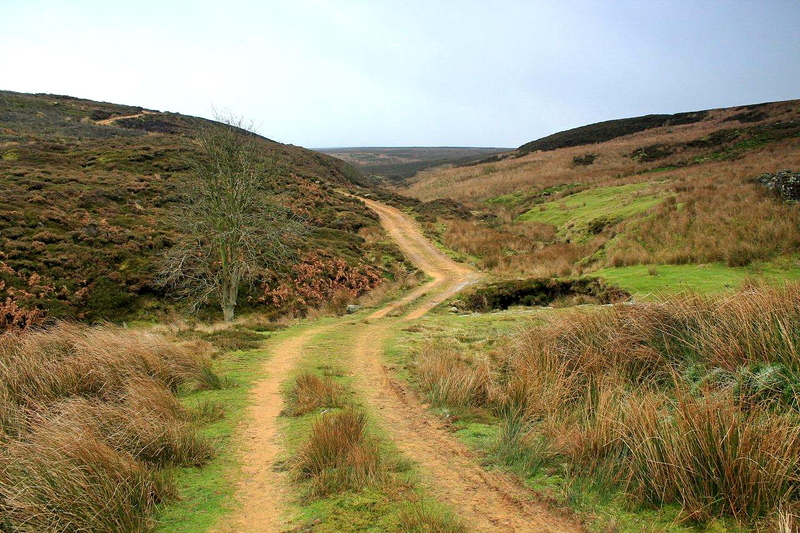 At the very head of Baysdale, in a sheltered hollow called Armouth Wath – a pleasant place to picnic on a summer’s afternoon – I turn north across Stockdale Moor and head into yet more relentless miles of heather and mud. Grouse cluck and scuttle across the track, unruffled by the distant bursts of gunfire. I have no sympathy for them, because if the rich didn’t have birds to slaughter then they’d start shooting other things, and that might include European migrants, families on benefit and possibly the rest of us. 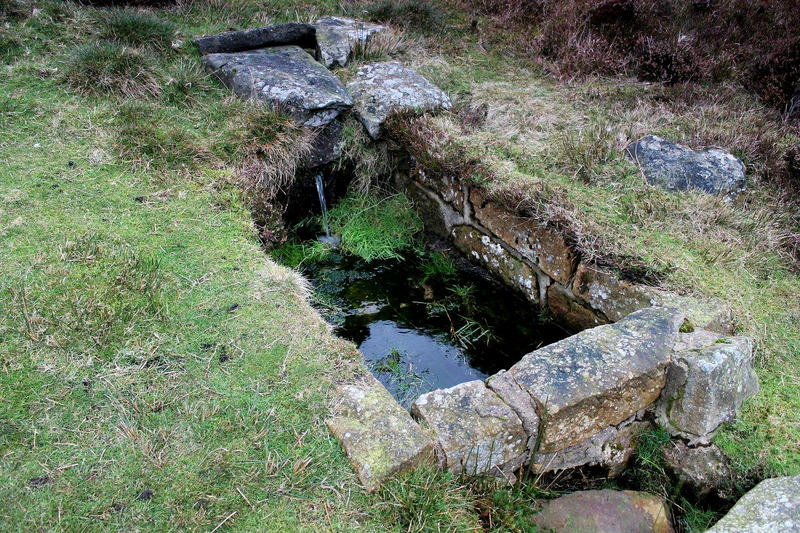 Bothy water supply. Or perhaps it’s where they wash their wellies. I descend into Baysdale but avoid its ruined abbey – which is bound to be haunted. Since leaving Kildale I have not met a single person. 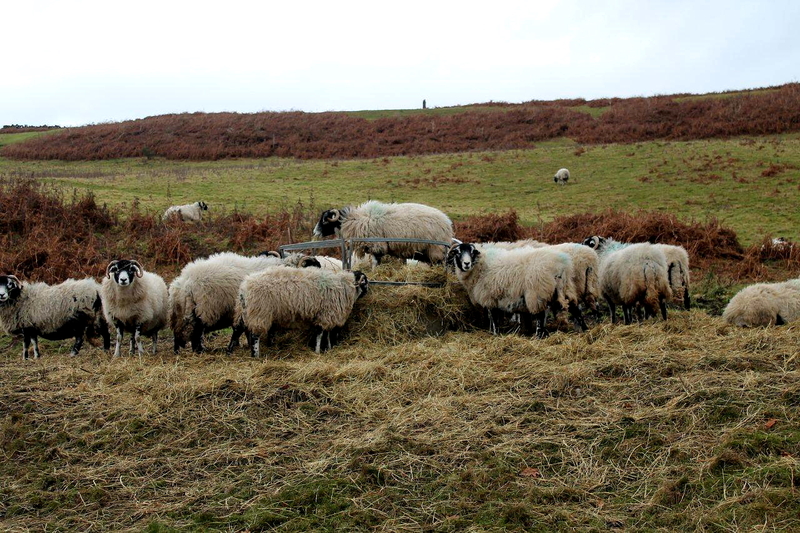 I don’t meet anyone in Baysdale either, despite passing a farm, crossing the valley bottom through pastureland and climbing the northern slopes. It’s an eerie place on a dull day in December. 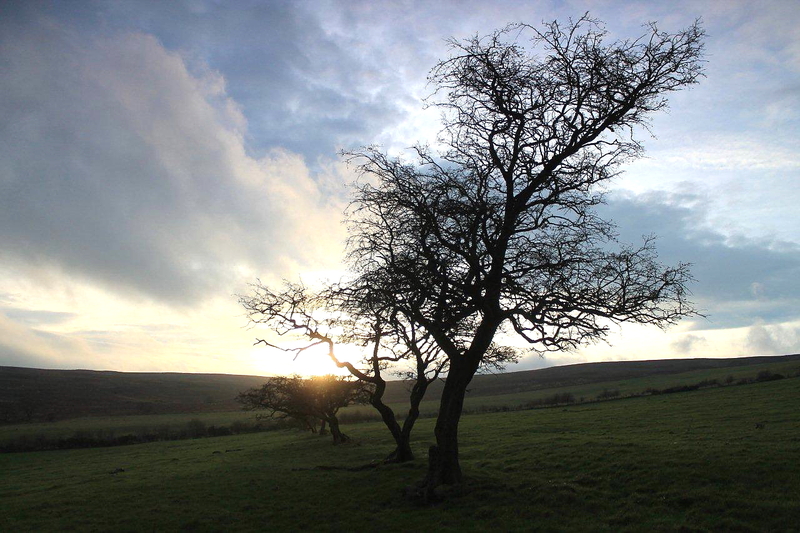 No wonder Bram Stoker’s most famous creation – Dracula – sought sanctuary in this strange but beautiful countryside. Which reminds me. I need to be back at the van before darkness falls. 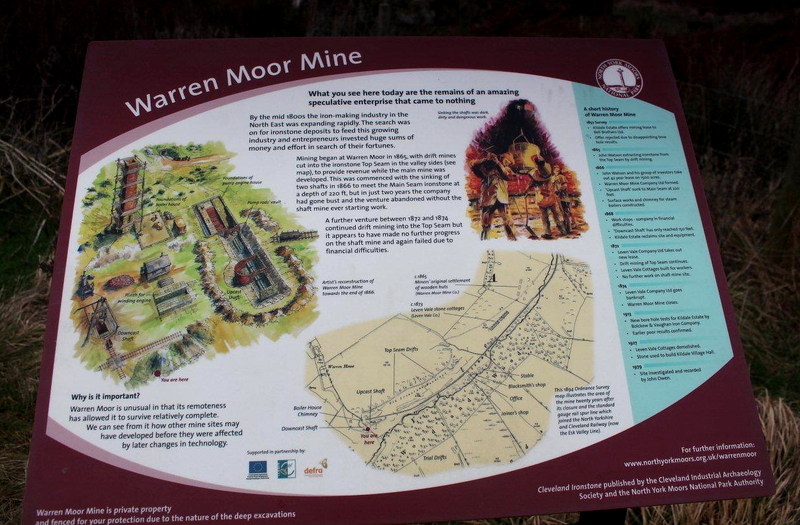 In the neighbouring valley, Leven Vale, I pass the ruins of Warren Moor Ironstone Mine. 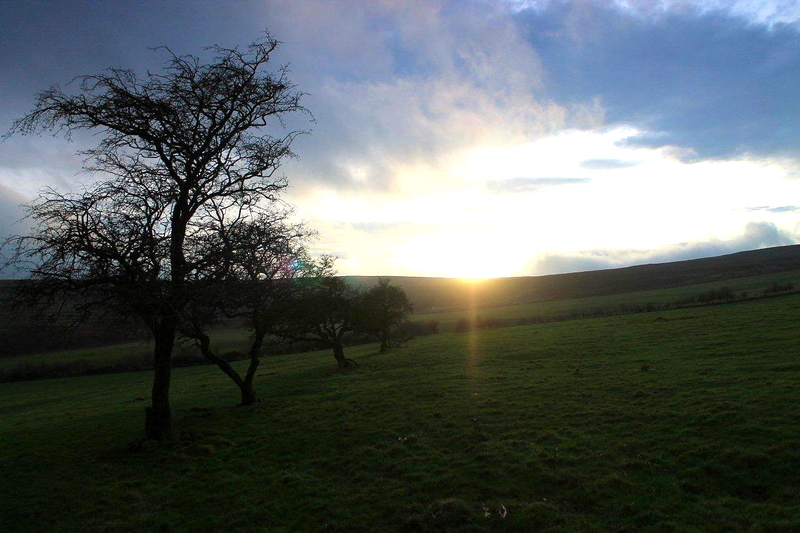 The chimney stands in silence as the sun sinks behind bleak hawthorns. I pass another silent farm as the shadows lengthen. 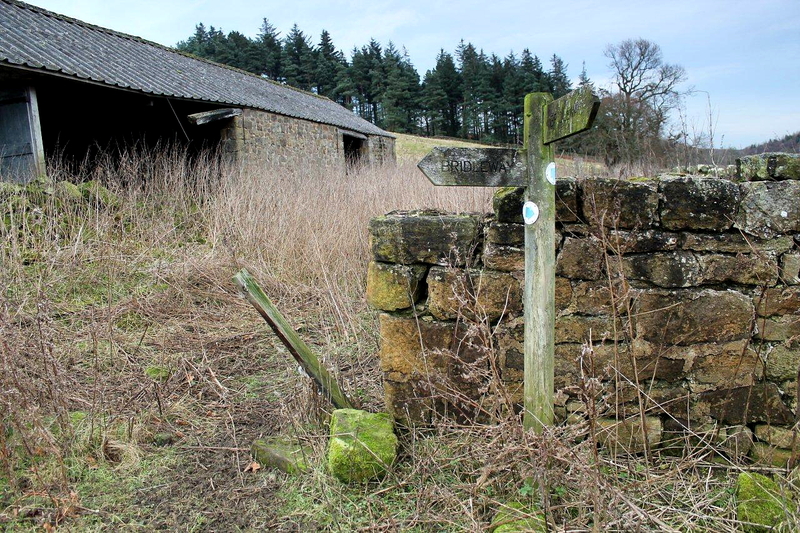 Then, on the outskirts of Kildale, I pass a row of silent cottages. Kildale itself is steeped in silence. No lights flicker. No curtains twitch. No birds sing. Not even the wind murmurs in bare branches. This is the downcast shaft. That doesn’t mean it was sad all the time – it’s primary function was for ventilation purposes, to deliver fresh air into the mine. 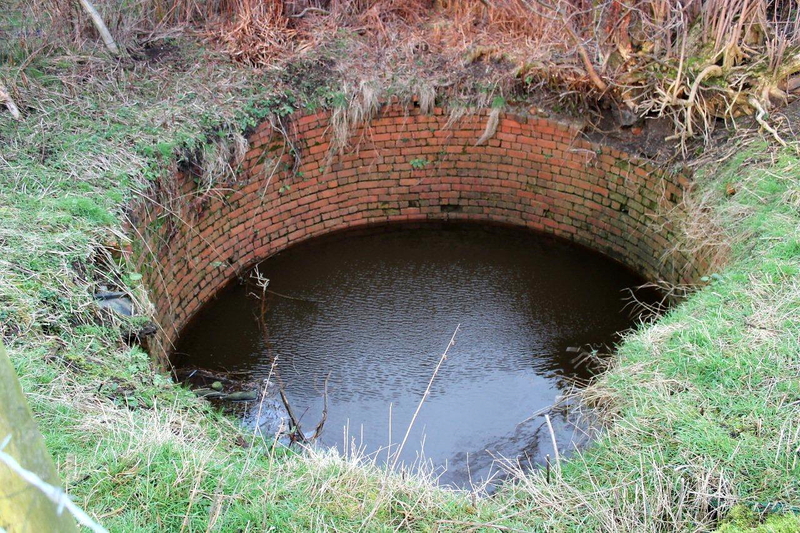 The bad air escaped through the upcast shaft. Click on picture below for more details. KILDALE’S a nice place really. 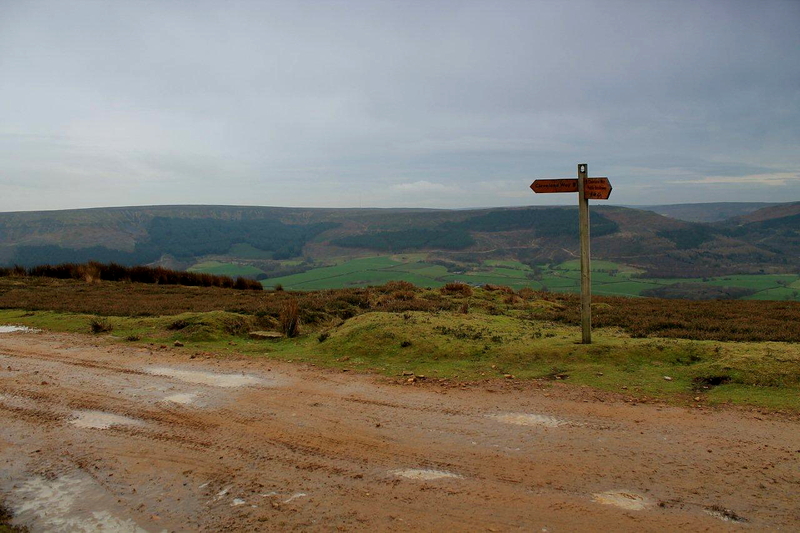 And the walk is pleasant and offers wide views across Teesside and the North York Moors. There are lots of ghosts in the area but they are not malevolent. As the saying goes: you have nothing to fear from the dead – it’s the living bastards you have to watch out for. This entry was posted in Archaeology, Captain James Cook, Cleveland Way, Death, Environment, Footpaths, Ghosts, Hiking, History, Hunting, Industrial archaeology, Legends, Mountains, Politics, Ranting, Ruins, Teesside, Walking, Weather and tagged Cleveland Hills, Mining History, North York Moors, outdoors, WPLongform. Bookmark the permalink. PS Some of it are true. Hanna, I don’t know whether to believe you or not. 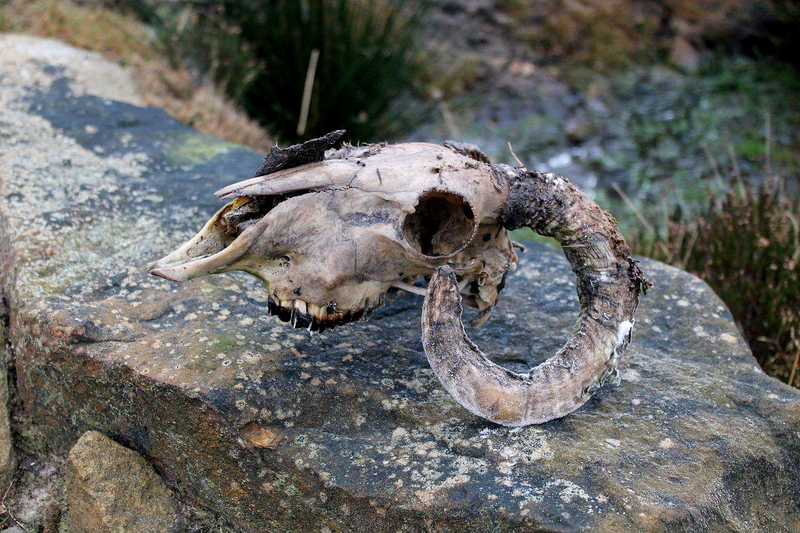 If I dug up a skull in my garden then North Yorkshire Police would cordon it off, dig the whole thing up and probably break my greenhouse. And they’d probably interrogate me and possibly arrest me. But this is England, not Denmark. I’d be quite happy to live next to a cemetery. That wouldn’t bother me at all. But digging up a skull in the potato patch is another matter. I tell you ‘IT’ was smiling at us. But some part was missing. We had been filled with a lot of stories about the cemetery from our neighbor an old farmer. He had been filled with stories about the cemetery too from his father and so on. Okay, I’ll go along with that. I like the fact it was smiling. That offers hope for the future. If there’s something to smile about in the hereafter then it can’t be all that bad. Or perhaps he died laughing. That’s a good way to go. Nice story, great pictures and a bit of politics – what’s not to like. One side of my family is from North Yorkshire (Guisborough) and I’ve used that as an excuse for all sorts of behaviour over the years. 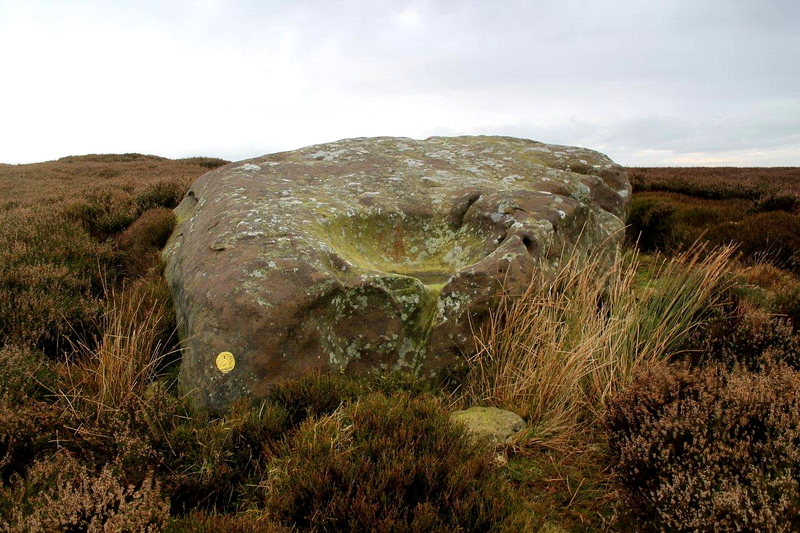 Do you remember the big old golf ball type structures on Fylingdales Moor? As a kid I used to swim in a pool not far downstream from there; probably shortened my life expectancy. Hi Dave. I had a very good night out in Guisborough once. We stayed in a pub but I can’t remember the name of it. “Red Lion” sounds familiar but I can’t find it on the internet so it must have been something else. B&B cost £29 for the two of us, with full English breakfast. Actually, Fylingdales would be a good idea for a walk, though I’ll give the swim a miss at this time of year. I think they arrest people if they get too close. The US military have something to do with it, so walkers probably get whisked off to Guantanamo Bay, with unofficial British compliance, of course. I used to live near Windscale so I wouldn’t worry about it. We’re all bloody doomed. If I’d known beforehand what this post was about I would have turned off the lights and put on my special ‘Thirty Different Howling Wind Noises’ CD. It reads like a cross between MR James and Robert Fisk. Excellent stuff. I was once caught up in the middle of a grouse shoot and after all the blunderbusses went off at once I was showered with empty cartridges. (South Lakeland, circa 2009.) And wouldn’t it be funny if the big golf balls at Fylingdales were . . . great big golf balls! Grouse-shooters inhabit a different world. If you get talking to them they are really quite charming. Apparently, when Willie Whitelaw shot that beater back in the 1990s he apologised profusely. According to the Telegraph (informative newspaper in broadsheet format), the Duke of Wellington was more dangerous on the grouse moor than the battlefield. So you were really quite lucky. That ruin at Armouth Wath looks interesting, possibly even a spooky, wild camp spot? I can see reading your blog will throw up lots of ideas for the Outdoor Bloggers’ Ghost Hunting Division! Hi Chrissie. Armouth Wath would be an absolutely perfect place to wild camp. 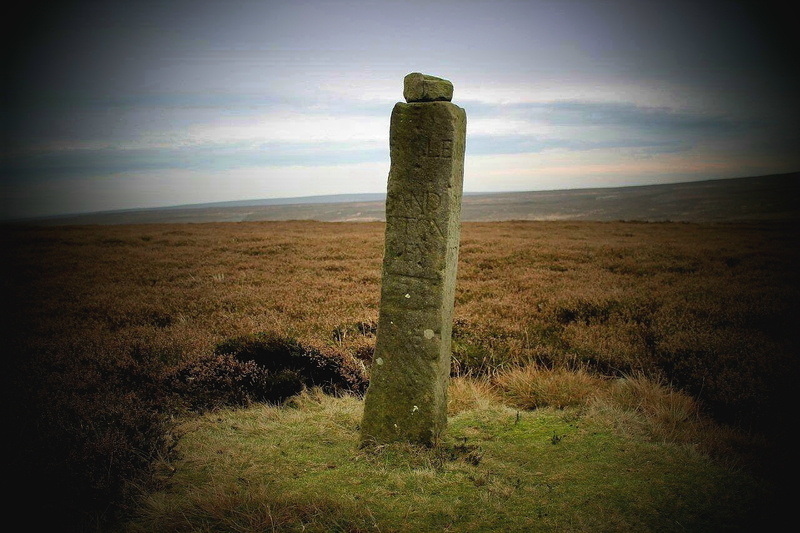 Plus, there are standing stones and burial mounds only just up the moor. I live in Barton, which is between Darlington and Scotch Corner, though I’m from south Cumbria originally. I like the North-East. Great area. Oh I do like a good yarn! Obviously I don’t get out enough. I’m hoping to travel over to Colne next year so if you’ve any good stories about that part of the world particularly over towards Haworth it would wet my appetite. Can I suggest another book for you to read? 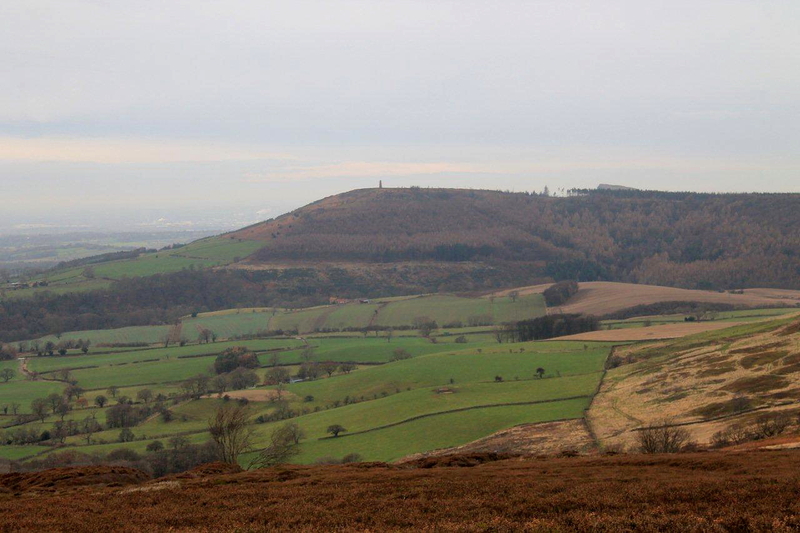 Another one for your Christmas list: The Moor by William Atkins (Lives, Lanscape, Literature) ISBN 978-0-571-29004-8. Hi Ash. Colne is a mystery to me. The nearest I can come to it is Clitheroe, and my only experience of that town is attending an auction about 25 years ago and buying six pigeons. 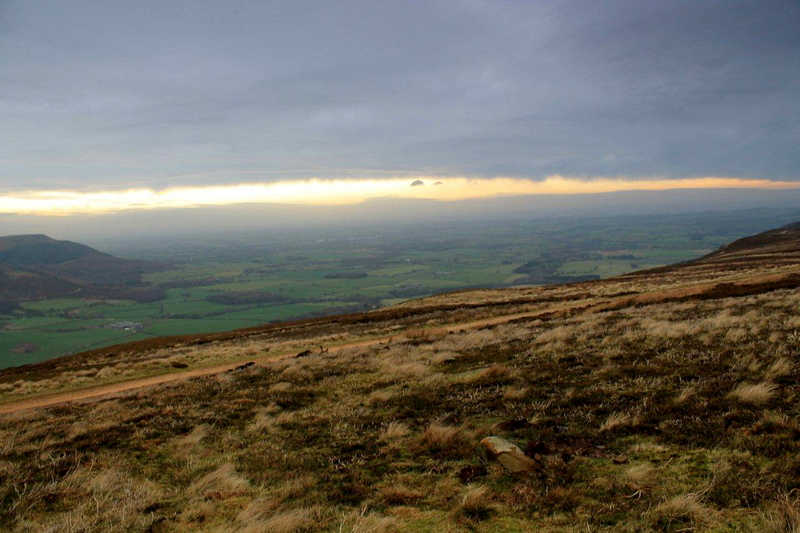 But between the two stands Pendle Hill, which has a very dark history, it being associated with the most notorious witch trials in English history. 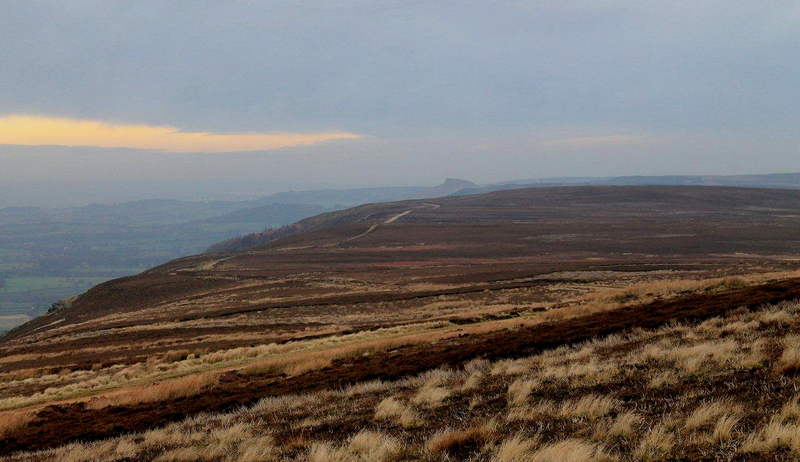 In fact, it is every bit as sinister as the Cleveland Hills (damn, should really put it on my list). I’ve a notion my old friend Danny, who graces these pages with poems and videos, lives in that area. But I might be wrong. Thanks for the William Atkins information. I’ve just read some reviews on the internet and it sounds a fascinating book. Great post, I like the story and the photos. 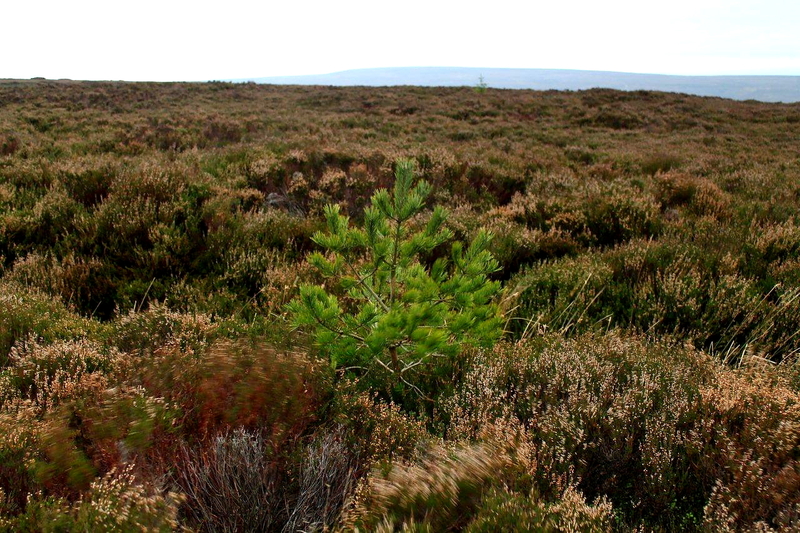 I live in Middlesbrough and enjoy the Moors, but I’m not so keen at this time of year mind! Nice to have discovered your blog and I look forward to reading more. Hi Norman. I discovered the Moors quite late in life so I’m just feeling my way around. I walked the Cleveland Way about 12 or 13 years ago, and that gave me a really good taste of the area. They are, though, much more welcoming during the warmer months. 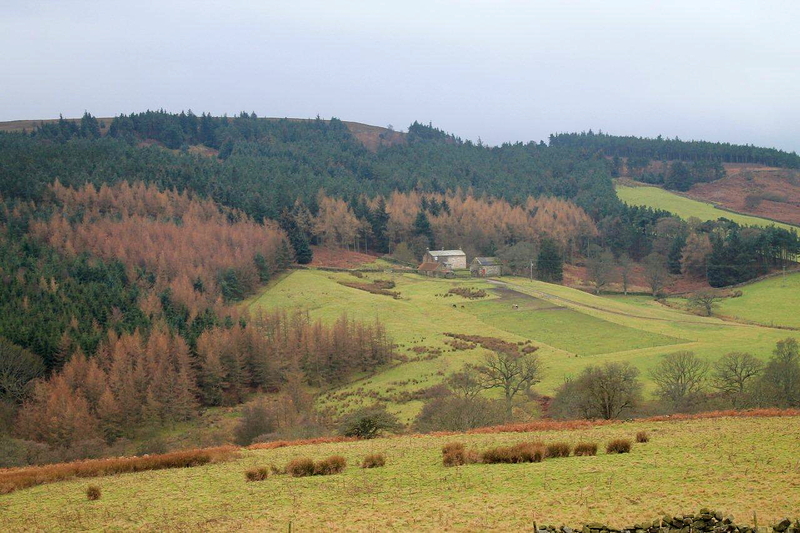 “Out on the winding, windy moor….” (Sorry Alen, but I’ll have it going round in my head all day so I thought I’d share it! 🙂 Great post and photos! Love your spooky imaginings, although I’m not convinced that you were all that spooked! Those carved rocks are AMAZING. Bigamy and devil worship – ideal for Christmas. And another lethal shaft in the ground, randomly sitting there waiting for victims!! 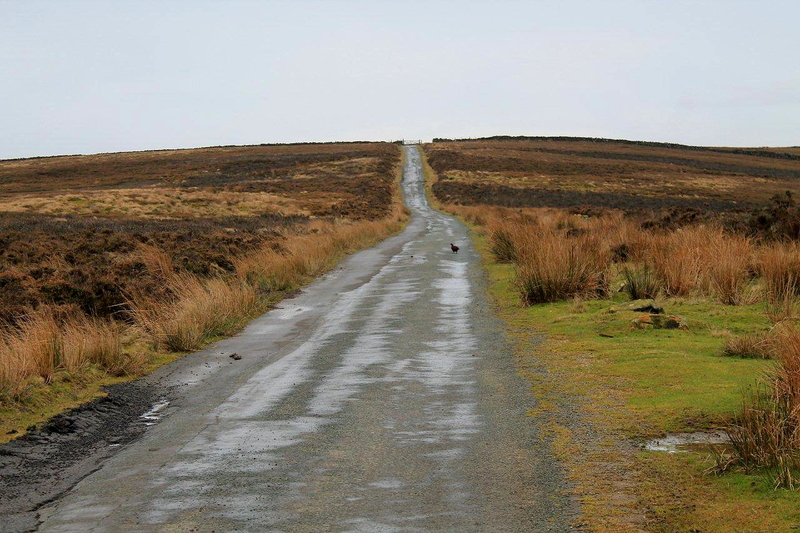 I spied a little grouse tottering across the path in front of you – did you have a conversation? By the way, re. 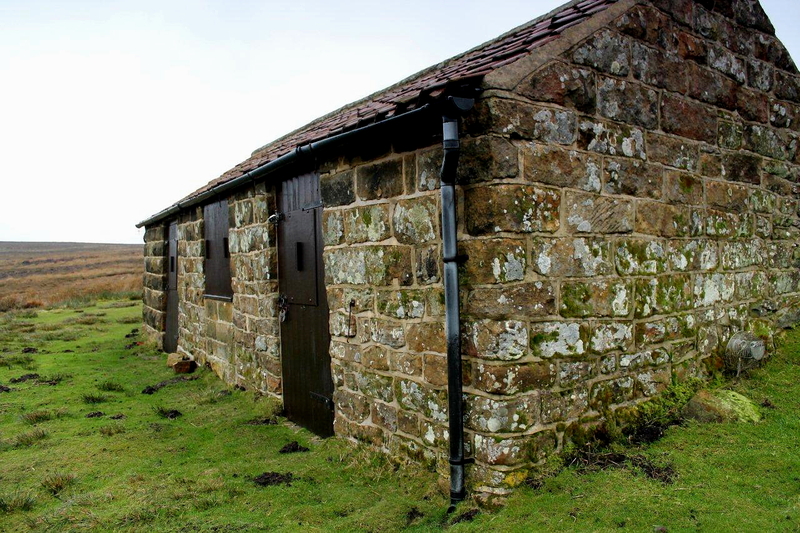 the bothy and the haunted-ness, I have just read a book by a Scottish mountaineer who has had some pretty hair-raising experiences, both in bothies and on the summits. Love your camels, which have suddenly hove into view on your header! Hiya Jo. I searched Google for hours trying to glean information on the boulders but could find nothing. 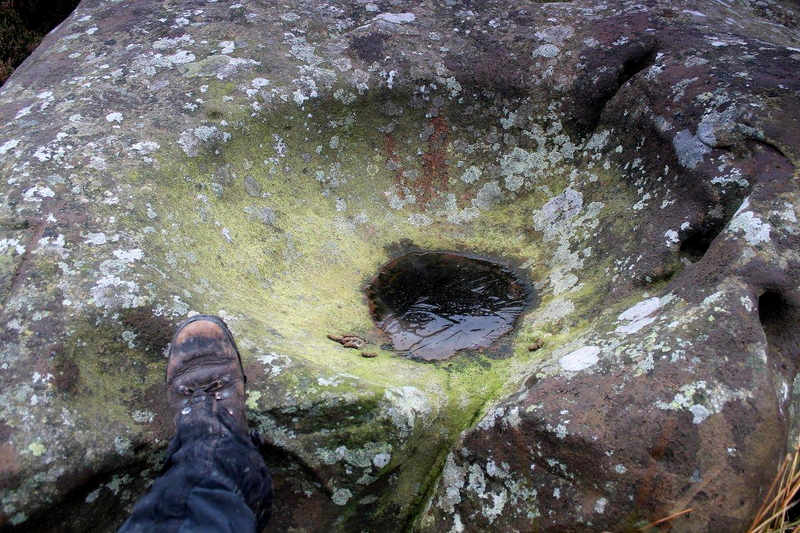 There are certainly stones with Bronze Age carvings in the area, but the one in the picture, with the huge immaculate dish, doesn’t get a mention. It doesn’t look natural, but the possibility remains that it actually is. You’ll have to let me know the name of the mountaineer. 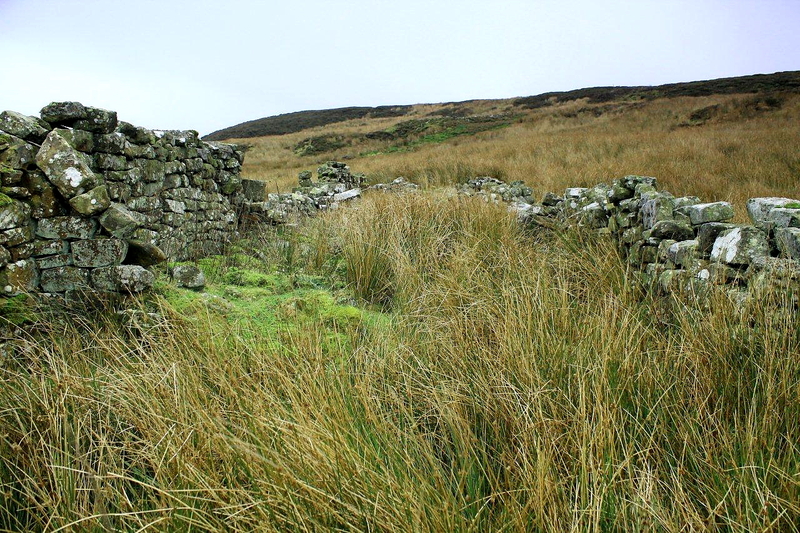 Many years ago – decades, in fact – I read an article in The Great Outdoors about a bothy which is reputed to be haunted. It was written as fact, not a ghost story, and concerned poltergeist-type disturbances. I can’t remember the name of the bothy; consequently, whenever I spend a night in a remote bothy I always have a poor night’s sleep. 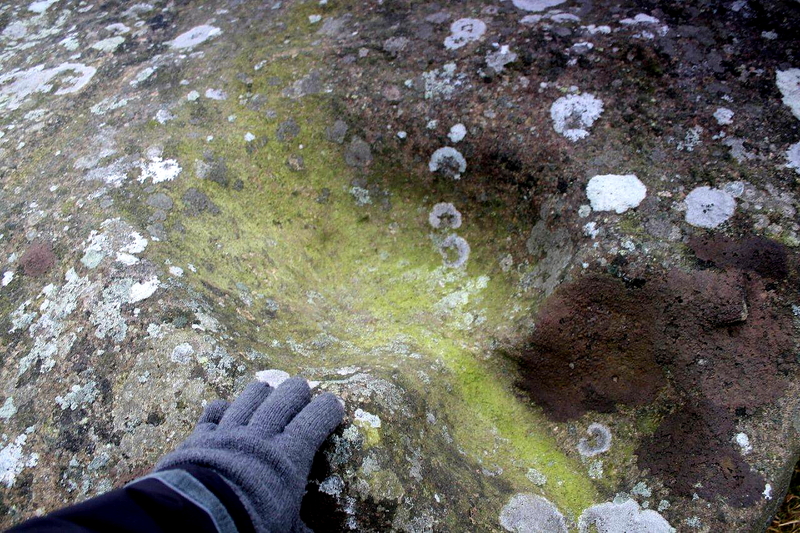 I guess when you think about it, they can’t catalogue every single rock that’s up there on the moors. I love mysteries like that! The mountaineer is Alan Rowan and his book is called ‘Moonwalker’. The bothy in question is in Wester Ross, and is called Bendronaig, but he knows of many others where people have reported spooky stuff. Sorry if that doesn’t entirely put your mind at rest! Blimey. Actually it does put my mind at rest. I visited Bendronaig bothy while walking the Cape Wrath Trail. As luck would have it, I had a look around then decided to walk on to spend the night at Bearneas bothy a couple of miles up the glen. Phew! PS. The shaft was quite unexpected. 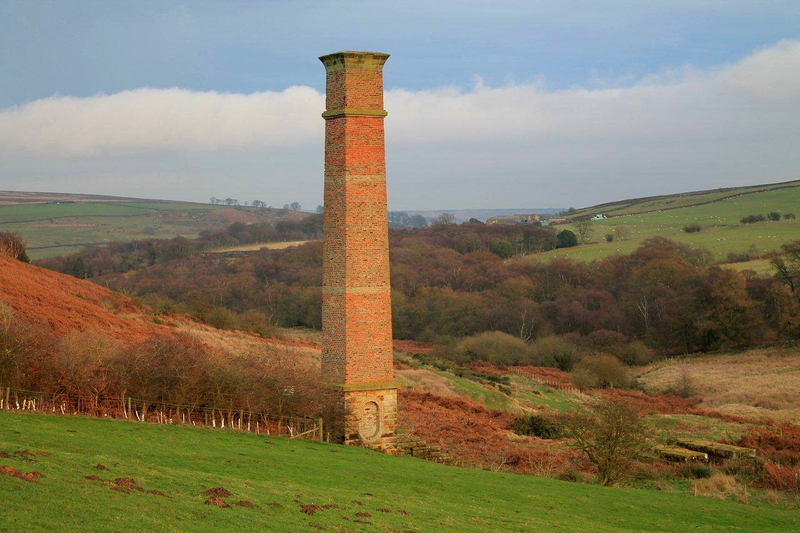 I had no idea the mine existed until I saw the chimney in the distance. Just watch where you’re putting your feet! Anyway, let’s not fall out about it – lovely photos of somewhere I haven’t been for way too long! I’m of the opinion that if we’d used an electric cattle prod on former government chief whip Andrew Mitchell and that bolshie Downing Street copper we’d have got to the bottom of Plebgate before it escalated into an extremely expensive circus. But we didn’t because torture doesn’t work and we wouldn’t have used it on British chaps anyway. But I can see the attraction. It would be a good incentive for politicians to tell the truth. And the bankers and financiers. A pair of B&Q pliers applied to the foreskin would focus the mind and keep sticky fingers out of the public purse. Besides that, I knew you’d pick on that point, Carol. I bet some people would have considered that posting to Benbecula a bit like torture. That takes me back to the Braddylls Arms, Ulverston, late 70s. Lads nights out. Now if I’d bumped into little Katy up on those moors, Danny, I wouldn’t have minded at all. Tynemouth.Peter. Released at last !!! Nuff. said. I have been following blog and the brilliant photos. But (due to the manacles) I was unable to use the keyboard. (see gunnery manual: section vol 7/42 for restraint for mutineers) The photos are HD on this contraption yet I have many TVs HD ready….when will arrive? Re the golf balls on t’moor DON’T STAND IN FRONT OF THEM…you will be micro-waved. I am at present,trying to get the staff on zero hours and zero pay ( for their livers sakes) Once I get the problem of WHY IS THERE ONLY ONE MONOPLIES COMMISSION .I phoned DC at No ten (Dave as he likes to be called) and an equary replied that (Dave) was far too busy setting up an inquiry into why there are so many inquiries ?!!! May the Lord help us., Pip pip ! Peter, I don’t know what you’re on up there in Tynemouth but I’d certainly like some for Christmas. I shall take your advice regarding the golf balls. I think it’s good advice not to stand in front of them whether they’re small ones or big ones – either way it’s dangerous (I could do the old joke about Hitler dying in a bunker but I’m not). 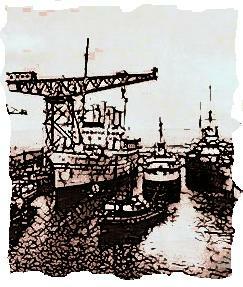 I must admit, the Monopolies Commission crack made me laugh, but there again I’ve been on the Christmas port. May I wish you a Merry Christmas and all the family health,wealth and happiness in the coming New Year……..Peter. Thanks Peter. And the same to you. Merry Christmas. Thanks for the post Alen. Happy New Year and that. Just checking my wordpress login thing; it’s gone a bit queer since just before Christmas. Hi Mike. All the best to you too. I just caught up with this wonderful post. Kildale! Battersby! names of my distant youth…those wonderful scenes, so beautiful, and so what southerners insist is bleak, what do they know…anyway, thank you so much for a long walk. I seem to recall the occasional hunt around Kildale, never saw it, too young, and family not into supporting it. Hiya Liz. Thanks for dropping in. This is an area I’ve only discovered in the past 15 years, so I’m pretty new to it! I’ll be back there soon. 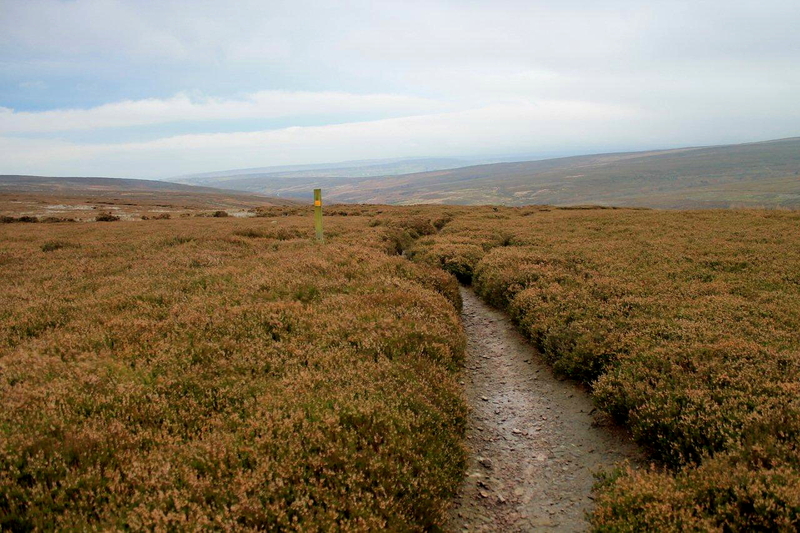 It’s a great time of year to plod over those lonely moors. Hi Nick, thanks for that. Glad you had a great day out. It’s a fantastic area of the countryside. I shall take a look at your report right now! Great set of images and nice write up, looks very beautiful. Hi Shane. Thanks for that. Hi Alen, just letting you know that I used this route for a short wild camp out this last Saturday night and I’ll put a link to this blog post when I get around to writing it up. Very enjoyable, if a tad on the windy side………. Hi Chrissie. By gum, you’re a hardy type. Last Saturday I had a cold half hour on the beach at Blyth and that was enough of the outdoors for me. I look forward to reading your report.